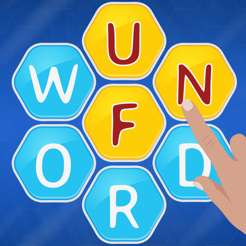 Wordaholic is one of the most exciting word games you will ever play! 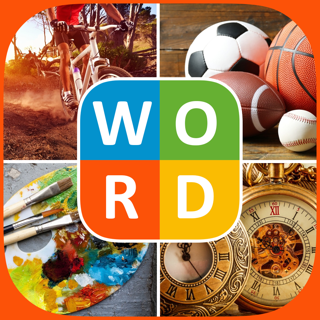 Find thousands of words hidden in pictures or in different themes! 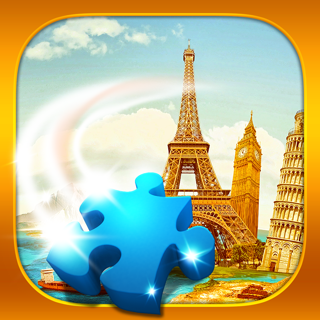 This word search puzzles game contains tons of useful terms, that are both challenging and educational. 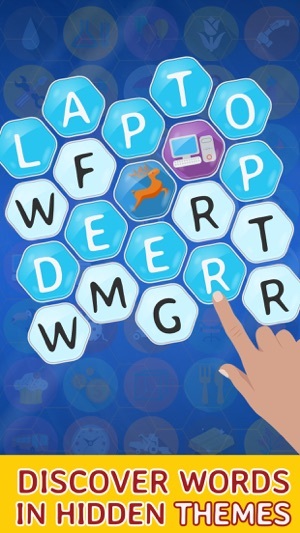 One of the best word guessing games you will ever play. 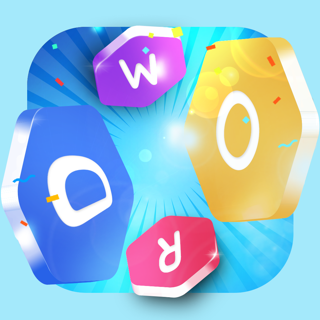 We worked really hard to make the word pictures game extremely enjoyable to play. 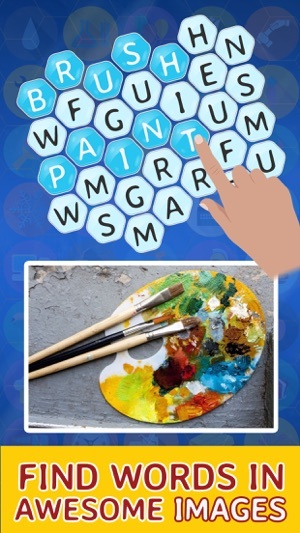 Swipe your finger over the letters to create the words. 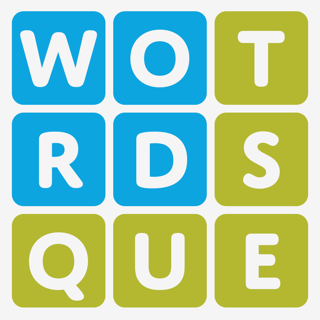 This guess the words game is progress based, which keeps you hooked and challenged along the way. 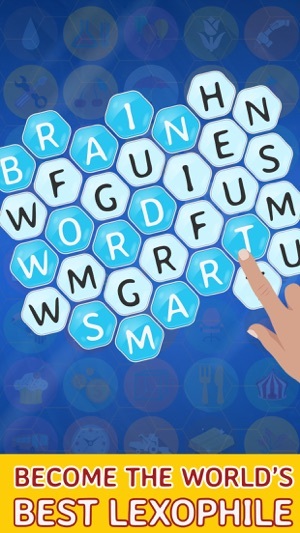 Each word you find increases your IQ and unlocks new levels. 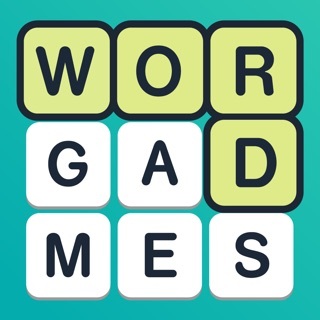 The game gets more challenging as you progress through the 168 unique levels. After each quest you complete, you get one interesting “did you know fact”. This makes the game both fun and educational. 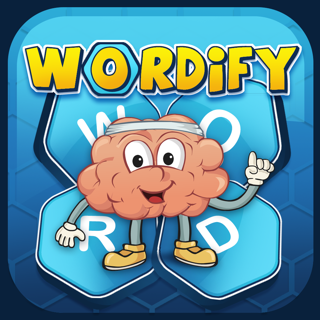 After you guess the word, Wordaholic displays simple educational facts from different categories. So, you will basically play, have fun and learn a lot. 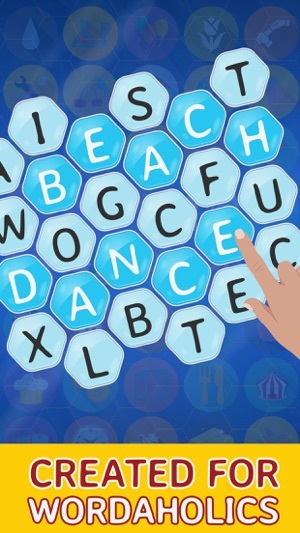 Word guessing has never been more fun and useful! I have been totally addicted to this game since I started playing it! Can't put it down. Wish you still got a "first letter" clue on the image as you increase the levels. Sometimes vey hard to figure out what they want. But still fun! 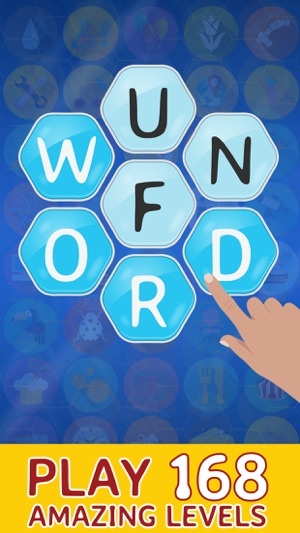 I love this WORD game a lot. I recently had a stroke and I'm trying to improve on my spelling. This gives me much pleasure in use in my brain . SOME TIME DO NOT DO WELL. when I don't do well it is okay. The game it's a great game if you're trying to improve on your spelling. My spouse told me a month before he died, that I should play games that are very challenging. This is one of them. Very difficult and hard. Makes you think.